At recent times, online marketing has become the trending aspect. People find it more comfortable to purchase online rather than visit physical stores spending hours together on shopping. But what makes them more involved in online shopping which is unseen. I hope you guessed it. Trust is the most important factor for online business success. It is the same which has made people rely on shopping websites. But how do people have this trust for some of the large online marketing sites? Have you ever imagined or given a try to know how this works? No? 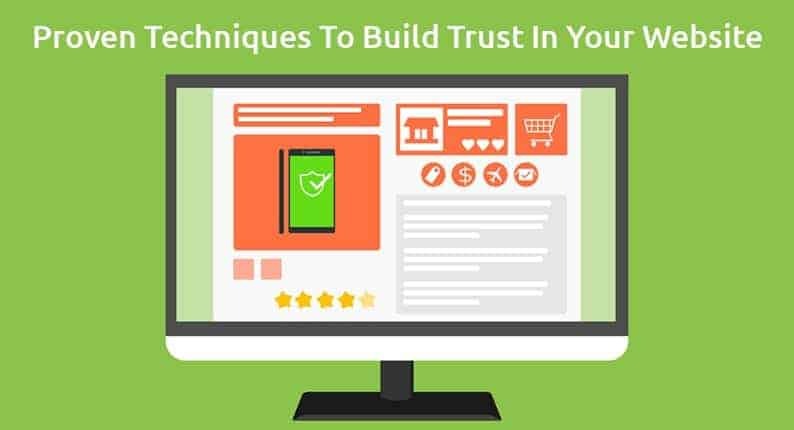 Then let me explain you some of the essential techniques that build visitors’ trust on your website. If you are the one who is building your online marketing, then you can make use of these techniques (like GDPR compliance) to skyrocket your online sales through visitors’ trust. 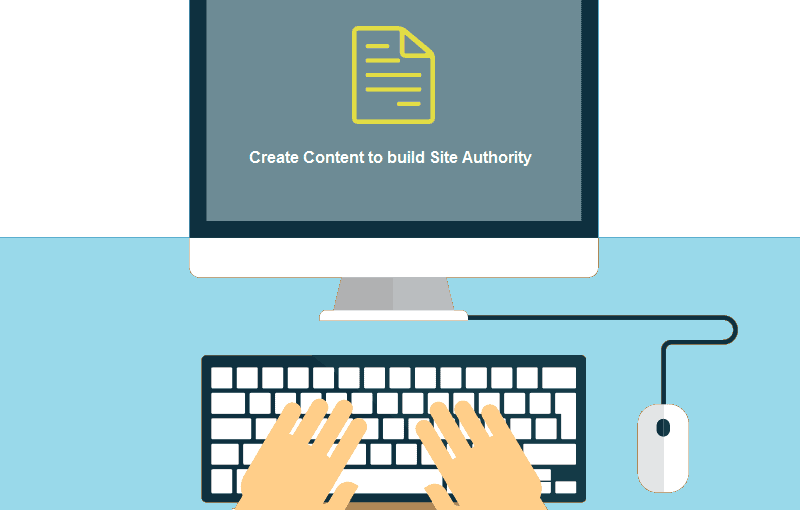 We all know content is the key statistic that gains a user authority. By creating content that can grab your visitor’s attention you can build visitor’s trust. At the same time, make sure that you are not selling it to your customers, instead, try to provide your visitors’ information that helps them. By doing you can make visitors return to you for your valuable content. In a recent analysis by Moz, 53% of consumers have shown interest towards in-depth content which indeed attracted them to their business. When people are in search of valuable information, and if you are providing it, then they are automatically driven to notice your other services. So it is good that you build a resource library for your customers, this builds visitors’ trust. If you are someone who is more concerned about quality or you have a cash back option on your business website then get it promoted using a badge. If you are providing a one year warranty or a 30-days cash back option, then you can display it on your sales page using a silver or gold label. You can obtain your visitors’ attention. Placing a gold label along with the call to action would be highly recommended. Never prefer colors like red as that may keep visitors away from hitting the call to action button. Make sure that whatever color that you use is in contrast to the others. By doing so, the badges can highlight better response from the crowd. A common factor that people are always concerned about is the secure payment method. Every business website should have SSL certificate for safe money transfer. If a website is going to fail or skip this certification then automatically the site loses its credibility. And that is why most e-commerce websites make use of these SSL certificates without fail. Most high brands make use of the Extended Validation SSL certificate, which protects you from a phishing scam. 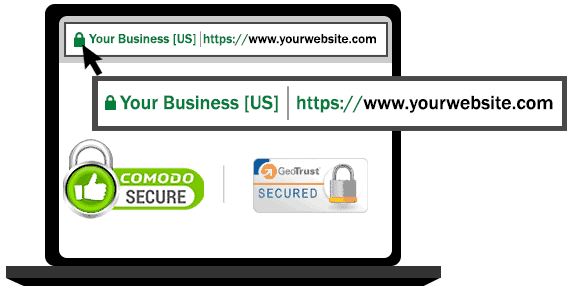 When a customer enters their personal information on site, ensure them that the data will be secure due to enabled trust indicators such as green padlock icon, Green address bar, Site URL begins with https://, and Valid Company name in browser address bar. Make sure that your “Secure” label in browser address bar help to increase customers’ trust. Such visual trust indicators impact on your sales pages, which build confidence on your website. 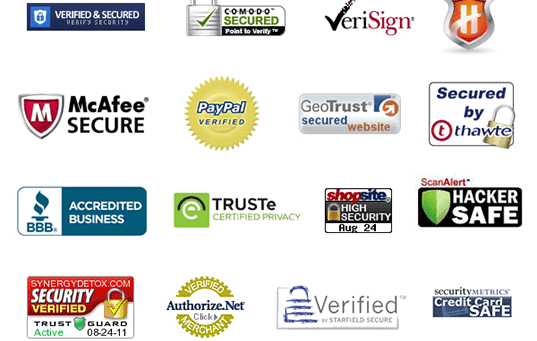 Whenever people notice these payment security logos, they find it more trustworthy to share any of their personal information on your site. Many of us neglect or skip this section. But this can help you in the long run with your first-time visitors. There are chances of making those first-time readers into your regular ones. Make sure that you generate a reliable and authentic “about us” content for your readers that they find appealing and trustworthy. You are building an identity with the business. You can add some more essence to your “about us” content by giving your personal touch. It is appreciable if you are displaying a photo of your whole team along with the description of their skills. Give your clients an idea of who they are and who they may be working on their future projects. This is one of the brilliant ways to build trust in your products or services. If you can get anyone endorse your product or service with document quotes it is well and good. On the other hand, breaks the wall of doubts, that people usually have while browsing the web. Some people are good at “Me too” Mentality which is the perfect way of a testimonial. People always love to be involved, and if you are delivering such testimonials, then you are already solving a part of their problem. When people identify testimonials that had similar problems to the ones they currently have, they predict that you have the best solution for their current situation. Now you may know how one could gain trust among visitors. People are so much involved in social media. Anything from social media platform could get visitors’ attention. You can make use of this strategy to grab your visitor’s attention and trust as well. Give your visitors a social proof that your business is the leading and the no #1 company in the industry and I promise you will get better engagement than you expect. For example, you can have your social shares, previous interaction on social media and much more on your business page. It will help your audience know that you have authority in the market. EU parliament has recently made an announcement, which requires all the websites to be GDPR compliant. GDPR compliance is for General Data Protection Regulation. This is to protect the users personal data which they provide on websites, through various forms. The law will fine the websites that are no GDPR compliant since 25 May 2018. Popup Maker is forearmed with GDPR compliance for the customers. Now you can create Subscription and Contact form popups for keeping the engagement with your users, not breaking any EU laws. The only thing you should do is adding a GDPR compliance checkbox inside your form, and make it a required field. Let your users know that the Subscription of Contact form popup will collect their data. And, if the user is not ok with sharing their data, they will simply not fill in your form inside the popup. Fair, isn’t it? Believe me, this will grow the trust among your customers, as they will appreciate the fact of you keeping them informed. This will grow the conversion of your online marketing, providing you more flow and income. If you are looking out to build a good trust among your customers or visitors, all you need to do is follow the strategies mentioned above. I can promise you that all of these strategies could work for you and your online marketing. Make sure to build the authentic trust that you never miss your audience in any circumstance. 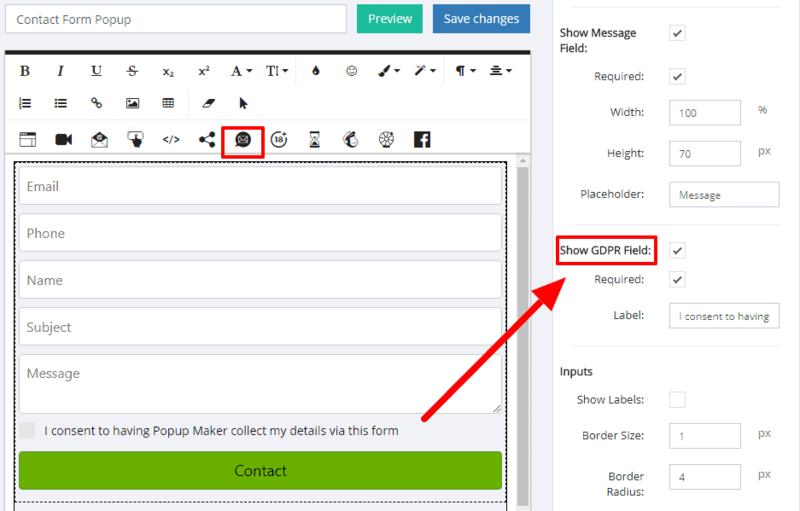 Previous Post:Popup Maker Geo Targeting Option Released! Next Post:5 Smart Website Popup Tools to Win More eCommerce Product Sales!